United MileagePlus Shopping is offering big shopping portal bonuses at specific retailers through February 19, 2018 at 11:59 PM ET. The marketing material says you can earn up to 10x miles per dollar spent, but a couple of the retailers are offering even bigger bonuses than that. The process for earning miles from portals is simple. I’ll show you exactly how to use my favorite portal: the Ultimate Rewards portal. Step 1: Sign in to your Chase online account. You do have to have a Freedom, Sapphire Preferred, Ink Business Preferred, Sapphire Reserve or other Ultimate-Rewards-earning card to get in. And each card has a slightly different portal with different payouts. Portals are designed to get you to use the card related to the portal. But you don’t have to use those cards in the mall to earn points. I do try to use the appropriate card for the portal I’m using. Why? If there is a problem with my points posting, I don’t want the portal to have any excuse not to give me the points. Step 2: Click on your Ultimate Rewards balance on the left side of your chase.com account. Step 3: Hover your mouse over the Earn Points drop down and click Shop through Chase. Step 4: Click any store listed in the portal to earn the extra points listed. The stores are listed in many ways inside the portal. There are the “Featured Stores”. There are seasonal offers. There are categories of goods you can search. You can also search by store name. Note that every listing tells the number of extra points for shopping at that store through the portal. Buying things with a credit card from these online stores will naturally earn one point per dollar on your credit card–or more if you are shopping at a store where your card enjoys a category bonus for instance on shipping purchases with your Ink Business Preferred. The portal will earn extra points per dollar spent in addition to your normal credit card points. Step 5: Shop at a store after being redirected from the portal. When you do click a store, you’ll get an interstitial screen that gives more information on the store you are being sent to. Be sure to read the Terms and Conditions on this page. Certain things like gift cards are often excluded from earning points. Taxes, shipping, and handling will almost always be excluded from earning points. Click “Shop at [whatever retailer]” be redirected to the online store that you selected from the portal. Now you should go about your shopping as you normally would. Cookies in your browser will make sure you get credit for your purchases from the portal. To make sure you get your points, clear out your shopping cart before going to the portal. Click on a site, and go to work shopping. Take screen shots along the way and of the final purchase, so you can request your points in the unlikely event that they don’t post automatically. I know there are some people reading this who have successfully completed hundreds of portal purchases, so if anyone has any tips on ensuring points post, let us know in the comments. Making miles from portals is a simple process, but let me give four tips and cautions, so that you can properly use the shopping portals. 1. Do your research outside the portals. If you decide you want to buy a certain laptop from a certain website, that’s the point to go to a portal and click the link to the partner website that sells the laptop. Only buy things through portals that you’ve decided to buy already. Do not impulse shop. 2. Once you have an item picked out to buy from a certain website, go to shopping portal aggregator like evreward.com or cashbackmonitor.com to compare payouts across portals. 3. Read the fine print of the portal. Oftentimes dollars spent on taxes and shipping don’t accrue bonus points. 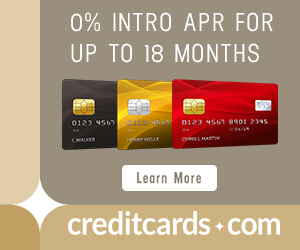 The fine print also often specifies that you must use a certain credit card like an airline’s co-branded card to earn the bonus through the portal. 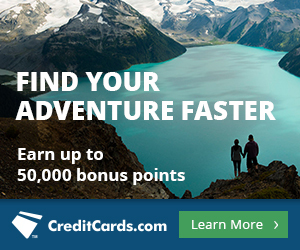 While many points lovers have found that you’ll actually earn the portals’ bonus points if you use any credit card, be aware of this fine print and that your mileage may vary. 4. Stay on top of limited time promotions. You probably just ignore your junk-mail emails from airlines, but often they are promoting excellent temporary deals through their portal. You may want to start reading them more closely. Check out United MileagePlus’ shopping portal bonuses to see if any of the retailers’ offers line up with shopping you already had planned. You can earn up to 15 United miles per dollar spent. And make sure you do it by the end of the day this Monday, February 19, before the offers expire. I find that https://www.cashbackmonitor.com/ is a more accurate and comprehensive alternative to evreward.com.